Attorney General nominee William Barr listens to a question as he testifies during a Senate Judiciary Committee hearing on Capitol Hill in Washington, Tuesday, Jan. 15, 2019. 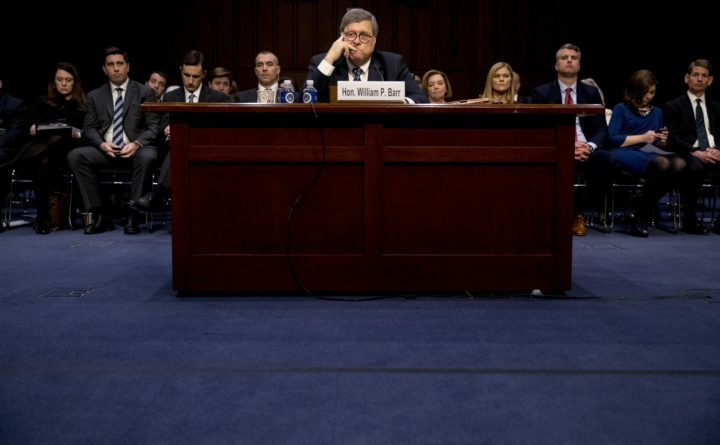 It was William P. Barr’s confirmation hearing. But it was Robert S. Mueller III’s affirmation hearing. None of this guarantees that Mueller will be able to complete his work unhindered or that Americans will ever know what work he did. Ominously, Barr, while promising “as much transparency as I can consistent with the law,” suggested he might try to bury the special counsel’s report by treating it as confidential and releasing only “certain information” himself. And the chairman, Sen. Lindsey O. Graham, R-South Carolina, usually a Trump loyalist, seemed to be trolling the president.